Marketing is about segmentation, targeting and positioning – nothing more to it. Positioning is the most ignored or most ill executed step in marketing. Product positioning as defined by Al Ries (who literally wrote the book on it) is not something you do to a product but do to the minds of customers. Positioning is creating a unique, relevant and differentiated positioning in the minds of the customers for your products. If you do not actively define and manage your product positioning, your customers, media or worse your competitors will. When done right product positioning not only advances a product’s uptake but also its reference price and hence the price that can be charged. A few weeks back I sa w an Ad for Salesforce.com Chatter in WSJ – very clear and powerful message creating a differentiated position for their product in the minds of their targeted audience. This is not by accident, it is part of a marketing strategy executed flawlessly, something that is baked into every product they develop and market. Chatter’s product positioning serves as a model for what start-ups and other businesses can do to execute on their marketing strategy. Here is a list of 8 key steps to effective product positioning, explained using Chatter as a case study. It is not about you: However tempting it is, positioning is not about you and how cool and innovative and advanced the technology is. Positioning is about the target customer. Lose sight of this your product will fail to connect. Embrace Familiarity: Chatter is not creating a new category. It is a great technology but they are not here to “change wholesale customer behavior” making them learn new things. Customers do not have to think much to see a category and use for the product. 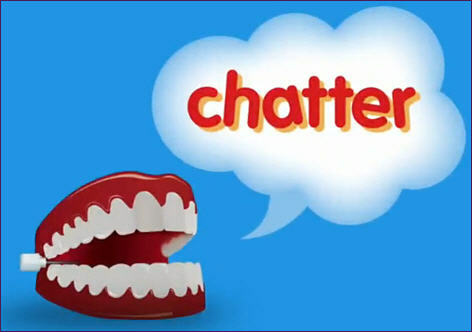 Chatter just made it simple, useful and manageable. 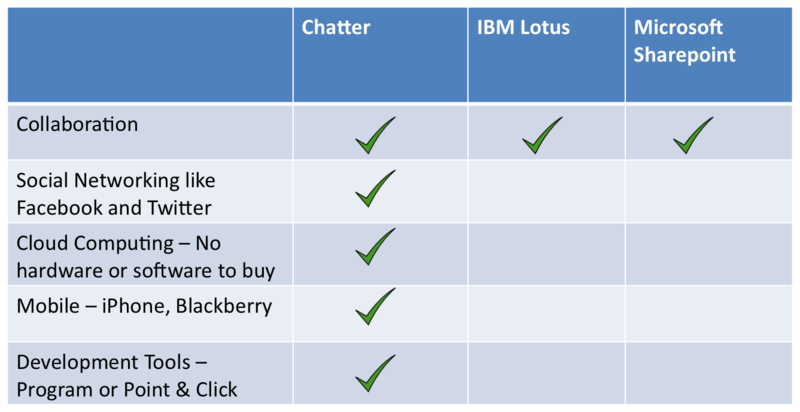 Chatter is applying for the jobs customers usually hire Lotus and Sharepoint, only it is better. So customers know how they can employ it. This is a big league product not something offered from garage. This is enterprise grade quality, security and availability. Align with customer buying behavior: The target customers are CIOs and decision makers in mid and large enterprises. Their default behavior is to go with the established names, no one gets fired for hiring Microsoft or IBM. Address that by comparing and providing evidence on unique product differentiation. The key differentiation is – in the cloud. People running IT departments know just how wasteful it is to host, maintain and run software and how stretched their staff and budget are to take on additional burden for collaboration software. Play to your strengths that are relevant to your customers: The key differences listed are all Salesforce.com’s strengths and are very relevant to the customers. Some products I have seen position themselves as, “change the way you do/think about XYZ”. This may be true but is that relevant to your customers in product selection? Help your customers sell it inside their organization: Know there are many audiences, first the decision maker and next the actual users of the product. After making the pitch to the decision makers you should make it very easy for them to sell it inside. As Mr. Benioff said in an interview before, give them metaphors to use, they will love you for that. So Chatter tells the decision makers, “it is like Twitter and Facebook for the enterprise”, which is an easy message the latter can carry and communicate internally. Manage reference price: No one knows what to pay for almost any product. We all don’t have an internal value meter. While it is possible to value a product in B2B space, how can a customer know that the price is right? B2B or not, it is ultimately people who make buying decisions and they do that by comparing prices. Positioning against two of the expensive software products primes the minds of customers and anchors them on the high reference price. This enables Chatter to be priced at a premium but still find customer acceptance because of high anchors. Make your positioning credible: Lastly, the positioning needs to be credible. It is easy for anyone to position against IBM or Microsoft – but why should your target customers believe you? What is your track record? Salesforce.com has a track record to stand on and its customer base as reference. If you are a startup you need to rely on other cues like beta customers, superior technology, patents, benchmark results, partner, investors, or some linkage to a highly credible entity and hope the credibility rubs off on to your offering.